Food,Civil Supplies and Consumer Affairs Department of Tripura has providing Ration Card Details through Department Website http://fcatripura.gov.in/. FCA Tripura Can be providing all ration card related services like Ration Card Status, Ration Card holders list, New ration card holders list, name include or delete of family member, Ration Card modification or correction services all is necessary for citizens.New Ration Card holders Can check their Ration Card application Status through this portal.People who lost their Ration card those people can get Ration card information online.in this article we will showing how to check Tripura Ration Card Status online, Citizens follow below instructions for check Tripura Ration card details online. 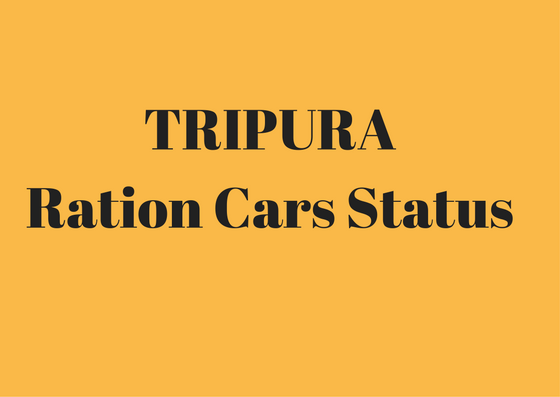 How to Check Tripura Ration Card Details - Status online ? Now Search Your Ration card data, in the list, You can also download this Ration card report, or take Printout for Future reference.